Now You’re Ready to Stop Pain! 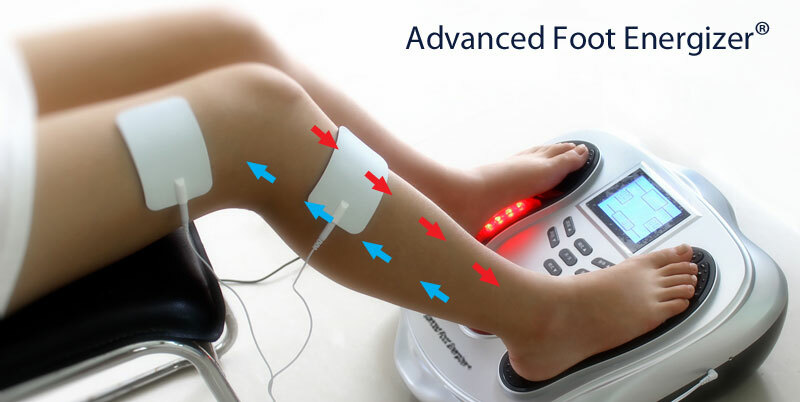 With our best selling Advanced Foot Energizer Platinum Package you’ll receive a clinically proven combination of EMS and TENS technologies that eases your suffering. 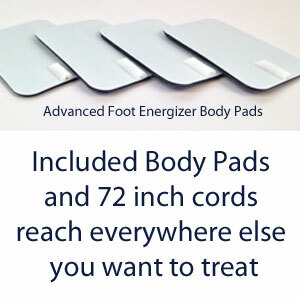 Regular use the Advanced Foot Energizer recharges your life by dramatically reducing the pain you feel in your feet and legs; in fact, it reduces pain in just about any place you feel it on your body! “I paid to use a similar machine at a Salon, after careful research online, I compared this machine and the other Machine’s Cost and Modes. 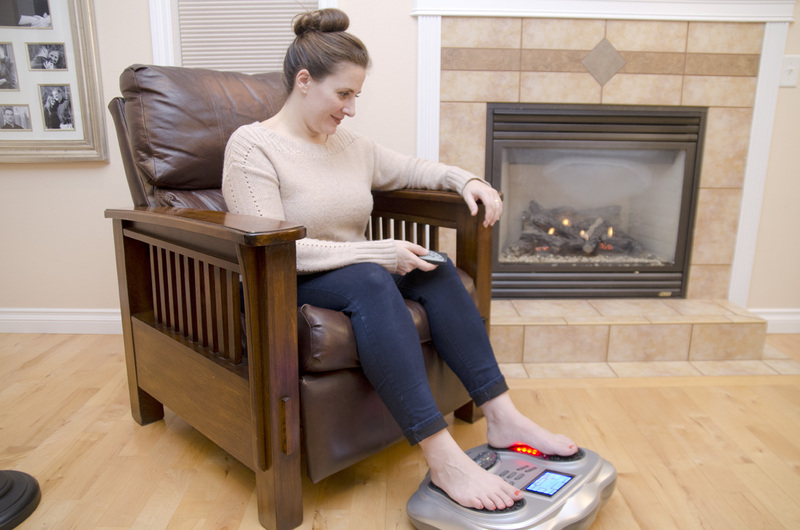 Because we are so sure that you will enjoy the benefits of the energizer, we are offering our risk free, no-hassle, 60-day guarantee for the Advanced Foot Energizer foot massager and stimulator to allow you ample time to test your investment in your health. It’s literally this simple: order a system today. 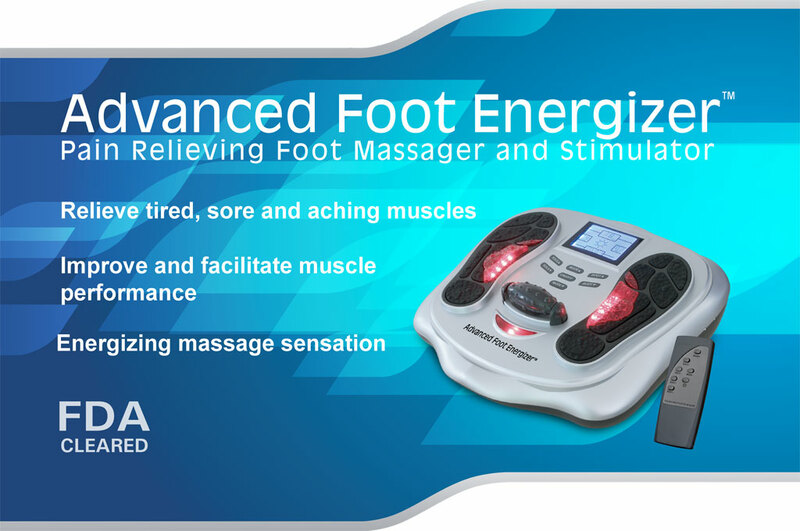 If you are not completely satisfied with your Advanced Foot Energizer after 60 days of continuous use as instructed just let us know and we’ll promptly refund every penny of the purchase price. 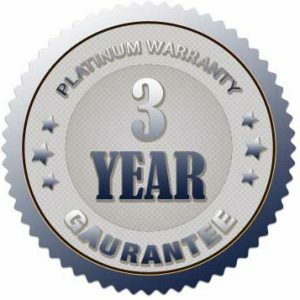 * Free standard ground shipping & handling worth up to $30 for deliveries within the contiguous US and Canada only. Orders shipped by ground normally arrive in 2-5 business days to the east coast and 2 – 3 days west coast. Orders shipped to Canada will process through customs and may have duty added at the destination. User manual and instructions on use and modes.